Teaming + Subcontracting | Cultural Resource Analysts, Inc. 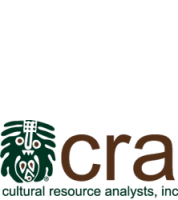 Throughout the years, CRA has cultivated a strong reputation for providing cultural resource services of the highest quality to public and private sector clients across the country. We have extensive experience serving as prime contractor, subcontractor, and as a member of multi-disciplinary project teams for individual projects and long-term IDIQ contracts. In addition to directly working for entities such as federal agencies, state and local governments, energy and utility companies, and private developers, we routinely work collaboratively with environmental firms, architecture and engineering firms, and other consultants to provide the full suite of complementary services necessary for a project. As a full-service cultural resource firm, CRA is prequalified with a variety of state and federal agencies and is capable of providing everything from basic cultural resource surveys to complete management of the Section 106 consultation process. Our reputation for successful relationships is rooted in our client-focused approach. When you work with CRA, you get our commitment to proactive communication, close attention to project budgets and schedules, and carefully crafted cultural resource solutions, no matter the size or complexity of the project. This approach begins with listening closely, developing an understanding of client needs and project goals, and assigning staff with specialized skills to meet the task at hand. We are your partner, working together to add project value backed by our technical expertise, nationwide experience, and creativity. WANT TO WORK WITH CRA? If you are interested in subcontracting CRA or teaming with CRA on a project, contact Steve Creasman, Executive Vice President, at creasman@crai-ky.com.